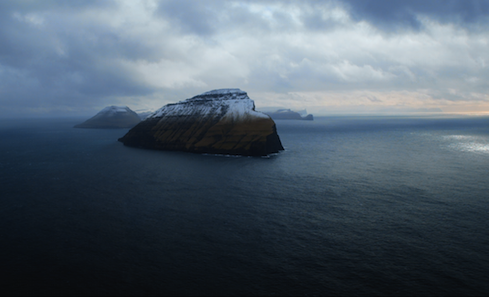 The Faroese are among the first to feel the effects of our ever more polluted oceans. They have discovered that their beloved whales are toxic, contaminated by the outside world. What once secured their survival now endangers their children and the Faroe Islanders must make a choice between health and tradition. The documentary was filmed over four years and resulted in the creation of a new sound recording technique. It is the first film to use ambisonic sound recordings at source and recreate them in cinemas in Dolby Atmos, a system using 128 speakers including vertical channels. This means that cinema audiences will experience the sound as it was in the field surrounded by the documented soundscape. Mike is a Scottish director and cinematographer. Formerly a lawyer, his debut film The Guga Hunters of Ness screened on the BBC in 2011 and at festivals internationally. He founded Intrepid Cinema in 2009 before heading out into the North Atlantic to document the last ten seabird hunters permitted to continue a traditional gannet hunt in the Scottish Outer Hebrides. This was the first time since 1959 that the hunters had allowed this once secretive tradition to be filmed. After two weeks at sea they returned home with a rare glimpse into this vanishing world. Mike was listed as one the ’10 Filmmakers to Watch in 2012’ by Filmmaker Magazine, he was one of EDN’s 12 for the Future 2012, the first Scot on the Nordic programme, he is a Sundance Documentary Film Program Fellow, has pitched at Good Pitch 2015 and EIFF 2011, was on the EIFF 2012 Talent Lab, and is supported by the Scottish Documentary Institute’s Docscene programme. Supported by the National Lottery through Creative Scotland’s Targeted Screen Funding, the film was also backed by a crowdfunding campaign.